Beijing: India has taken a posture to not accept China’s mega Belt and Road Initiative (BRI) for Beijing’s plan to build projects under it in Pakistan-occupied Kashmir is perceived as a threat to sovereignty by New Delhi. Although a number of countries in South Asia including some of India’s close allies have embraced the BRI, India has kept away despite repeated efforts from China. Chinese experts, however, believe that India’s own infrastructural requirements will see it reconsidering its stubborn stand on the BRI. Weak balance sheets of some of India’s commercial banks as well as concerns over credit environment have threatened India’s flagship projects, the Asian Infrastructure Investment Bank (AIIB) said in its inaugural Asian Infrastructure Finance report which was released last week, an article in China’s Global Times cited. 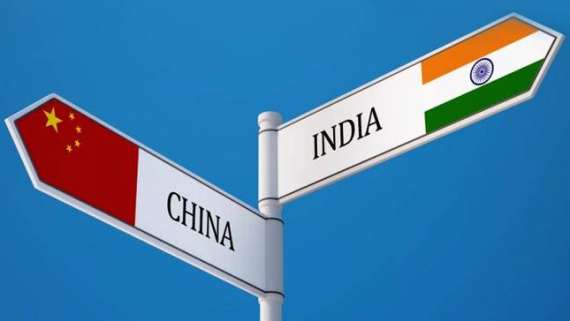 “This situation may push India to reconsider and embrace the China-proposed Belt and Road initiative (BRI) due to the huge need for infrastructure projects, which will become an issue after the 2019 Indian general election,” Global Times reported analysts as saying. According to the piece in the Chinese news website, the AIIB’s report spoke about concerns about financing and lending environment in India because of “collapse of Indian infrastructure development and the finance company known as Infrastructure Leasing and Financial Services”. It also cited “high-rate of non-performing assets among Indian banks” and said those factors together pose challenges to the timely implementation of flagship infrastructure projects. “India’s infrastructure transaction activity — total completed and ongoing transactions — slowed each year from 2014 to 2016. After reaching $72.7 billion in 2014, the figure dropped to $48.9 billion in 2015 and then to $40.4 billion in 2016, the report said,” the Global Times article reported. “The active motivation for India to join the AIIB at the outset comes from a domestic shortage of infrastructure construction and investment. The AIIB has a low interest rate on its loans. Hence, India is giving positive reactions to the AIIB’s infrastructure projects,” Global Times quoted Zhao Gancheng, director of the Center for Asia-Pacific Studies at the Shanghai Institute for International Studies, as saying. AIIB’s vice-president of policy and strategy Joachim von Amsberg said India’s infrastructure finance needs are very big and the country has the biggest financing requirements because of its size and scale.